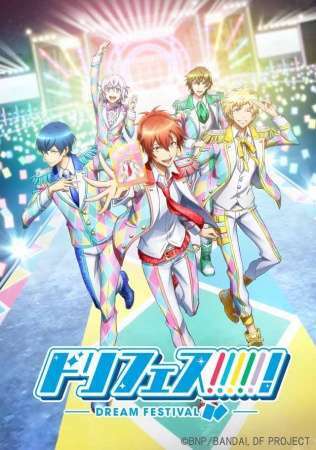 Due to his cheerful personality and ability to smile even through a hard day's work, Kanade Amamiya is suddenly scouted into the idol life by industry legend Haruto Mikami. He joins the agency D-4 Production where he meets fellow high schoolers Shin Oikawa, Junya Sasaki, Itsuki Katagiri, and Chizuru Sawamura, who all aspire to become idols. Inspired by their determination, Kanade embraces this new life. A perfect chance for his debut appears when they are grouped together to perform at the company's Dream Festival. To rise to the top, they must collect Dorika—cards given by the audience that idols use to form their stage outfits—and gain the audience's attention. However, the road to fame is a rocky one, and the boys must form a bond of friendship and trust before they can reach their goals.